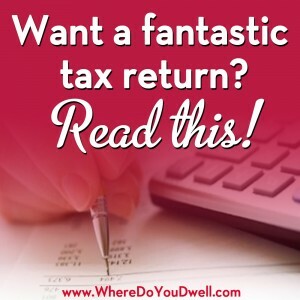 Want a Fantastic Tax Return? Read This! Now that tax time is just around the corner, we wanted to remind you of all the great tax benefits you can take advantage of as a homeowner. 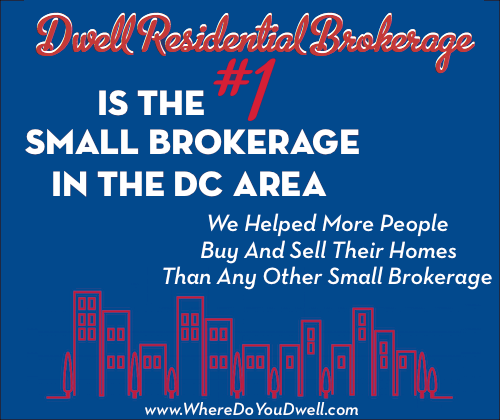 It’s one of the best perks of owning a home! If you’re not a homeowner yet, these tax benefits could make buying a home more affordable for you. Keep them in mind when determining your budget. This is NOT tax advice. Remember to consult your own tax advisor to determine all of the ways you can save on your taxes as a current or future homeowner. • Mortgage insurance premiums. It applies to private mortgage insurance premiums as well as FHA and Veterans Affairs premiums. The change will apply retroactively to 2012 for homeowners making less than $110,000 a year and will remain in force through December 31, 2013. • Tax credits for energy efficient upgrades. You can earn up to $500 on your federal tax return for making certain improvements. Here are some to consider: New insulation can earn you 10% of the cost, or up to $500. A non-solar water heater gives you a $300 tax credit, more than a regular one. New windows, doors and skylights can bring a tax credit that is 10% percent of the cost (not counting labor to install). Even a metal and asphalt roof with pigmented coatings or cooling granules designed to reduce heat can earn you a credit. What about a biomass stove (wood burning or plant burning) for heat? That’s could be $300 credit. If you replaced your air conditioning unit with an EnergyStar one, you could earn $300 tax credit. This list has been renewed — check out the details here. • Vacation home. You can deduct some of the costs associated with owning a vacation home, such as real estate taxes, personal property taxes, mortgage interest, and points. If you rent the place for 14 or fewer days during the year, the rental income is tax-free to you. If you rent it for more than 14 days a year, you must report the income but also may claim deductions for rental expenses. A boat or RV is considered an additional home as long as it has cooking, sleeping and bathroom facilities. • Investment Property/Rental Property. The cost of maintaining and marketing a rental property can be deducted from the income the property generates, without regard to the owner’s tax status. These expenses include mortgage interest payments, insurance, utilities, maintenance, repairs, advertising costs and management fees, as well as the non-cash cost of depreciation. Rental repairs are usually fully deductible in the year the expense incurred. In order to qualify, the home can only be occupied for personal use for up to two weeks per year, in addition to stays required for maintenance, repairs or improvements. Capital gains on investment properties can be completely sheltered and deferred by purchasing another investment property using a 1031 Exchange. • Home office. You can deduct the costs of a home office that you use exclusively as your principal place of business. • Tax-free rental income. If you rent out your own home for 14 or fewer days during the year, the rental income is tax-free. • Points. You can deduct any money paid toward points or origination fees at closing. Look for settlement statement to see how much you paid. If you refinanced your mortgage, or took out a loan to buy a second home or investment property, deduct any points you paid equally over the life of the loan. • Roth IRA payouts for first-time homebuyers. The Roth IRA allows you to withdraw contributions at any time tax- and penalty-free if used to buy your first home. • Relocation costs. If you moved 50 miles or more for a new job, deduct moving expenses. • Capital gains tax exemption. If the profit from the sale of your house is under $500,000 for married couples or $250,000 for single owners, you are exempt from capital gains tax. This exclusion can be used once every 24 months and you must have lived in your home at least for two of the prior five years in the home before the sale. For taxpayer with income exceeding the thresholds set for the 39.6% rate, a 20% capital gains tax will be applied. All other taxpayers with income below the 39.6% threshold have their capital gains and dividends taxed at 15%.